Lobed cup with green glaze and one small handle. Made from a fine, thin fabric, previously known as 'Tudor green' ware. Excavation of a number of small kilns in Surrey and on the Surrey/Hampshire borders has shown that this type of pottery was made in many of them in their later, 15th century, phases of production. 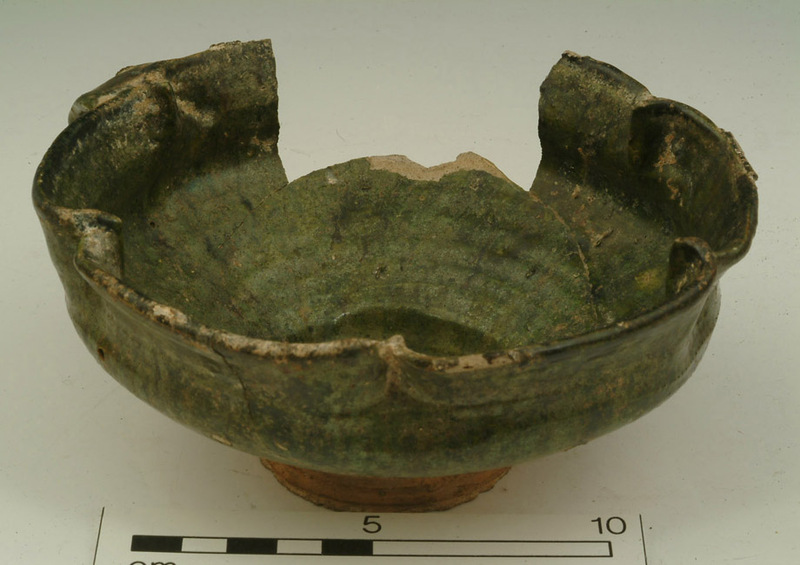 This cup was an unstratified find during the excavation of Gateway House, Watling Street in 1954 (site code GM160).